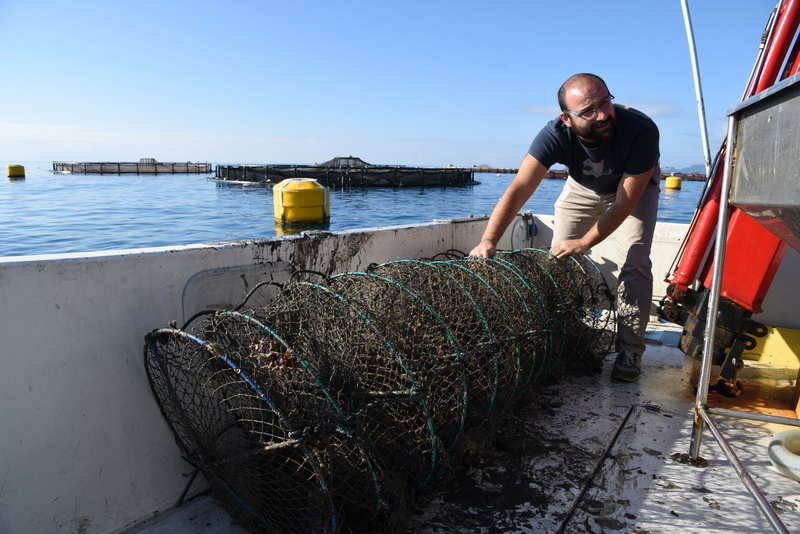 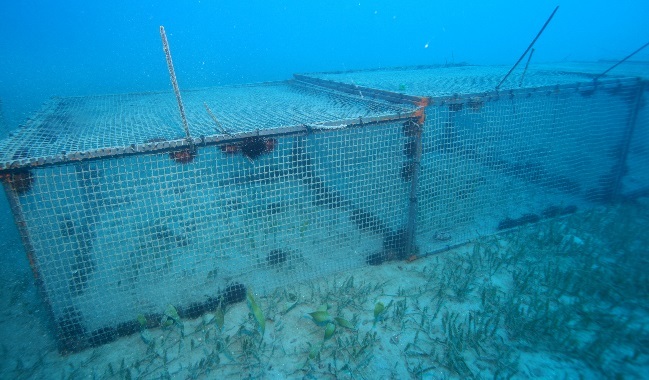 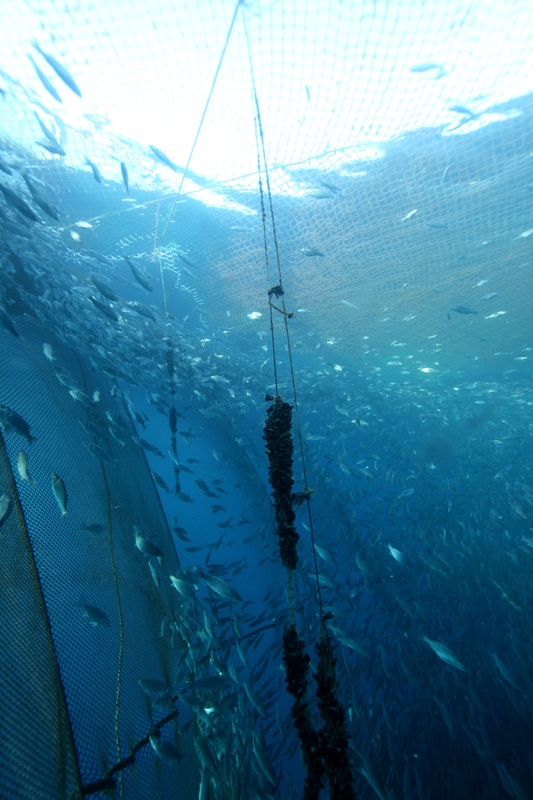 The IDREEM project is investigating the potential for Integrated Multi-Trophic Aquaculture (IMTA) in Europe, the project has seven pilot sites distributed in the Atlantic and Mediterranean Sea regions of Europe. 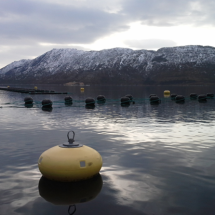 Established fish farm companies have worked alongside local research organizations, who have provided technical and scientific support to the farmers, with the aim of testingIMTA systems that are most appropriate to their respective environments. . 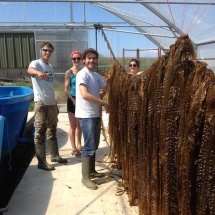 Results from experimental trials are being collated and analyzed presently, but in the meantime harvesting of crops has already taken place at a number of the partners’ sites.Below we provide a snapshot of the harvesting season in 2015. 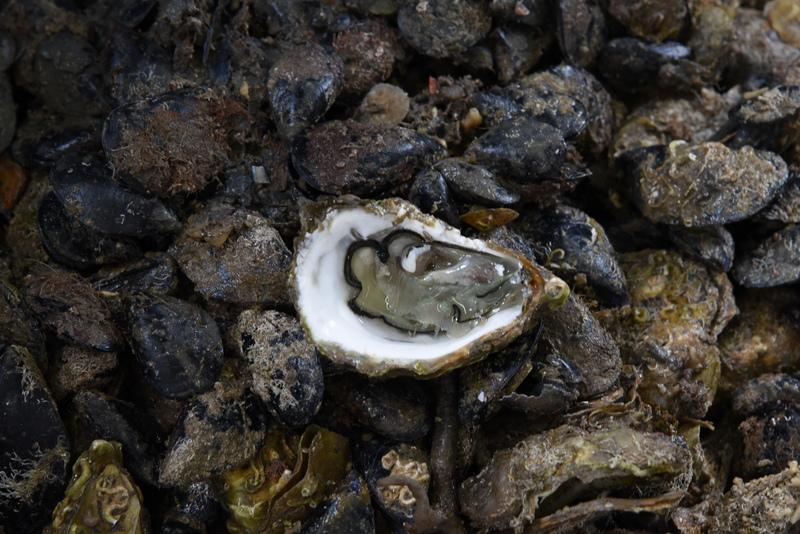 In Scotland, the IMTA system employed by Scottish Salmon Company/Loch Fyne Oysters is growing numerous extractive species in close proximity to one of their salmon fish farm sites. 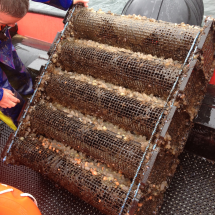 The species mix includes Atlantic salmon, seaweeds (Alaria esculenta and Saccharina latissima), mussels, queen scallops, oysters and sea urchins. 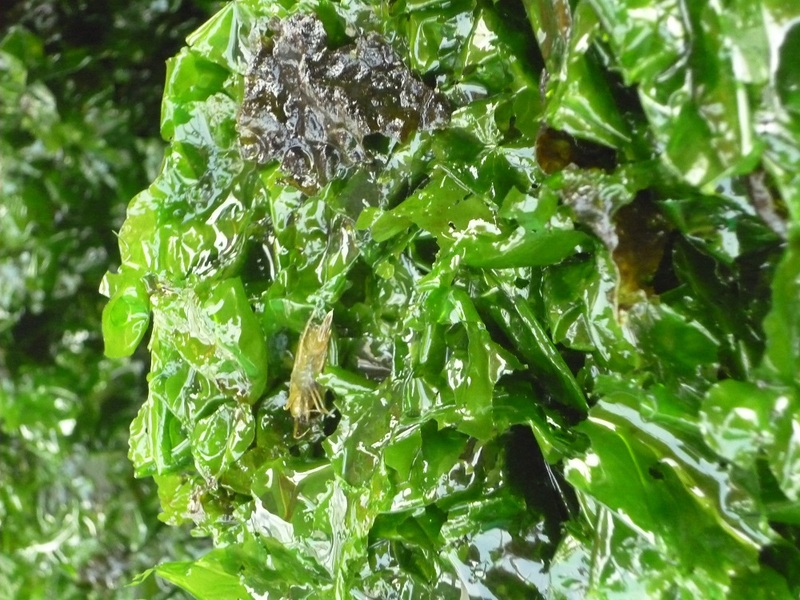 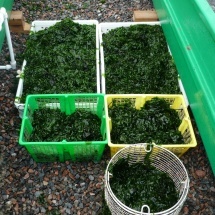 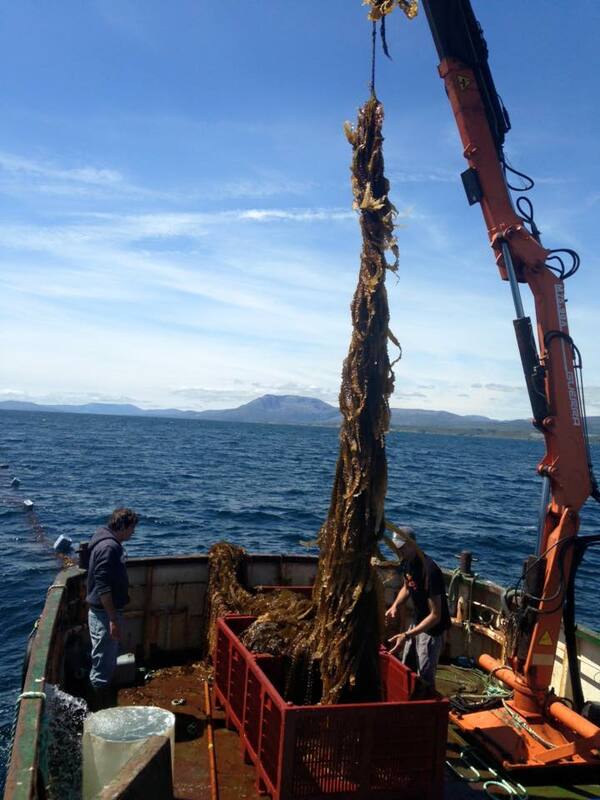 Ardtoe Marine Laboratory is also conducting land-based IMTA trials with Ulva spp. 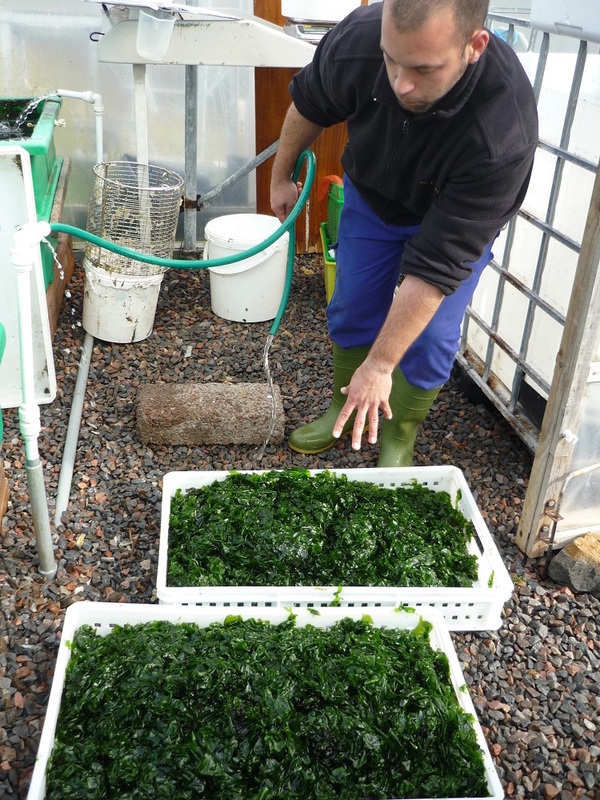 grown on nutrient rich water coming from tanks containing turbot, cod and sea bass. 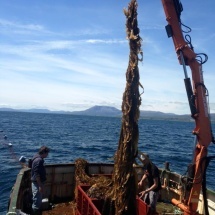 In this case the harvest of Ulva is used to feed sea urchins at the site, which supports growth of the more valuable species. 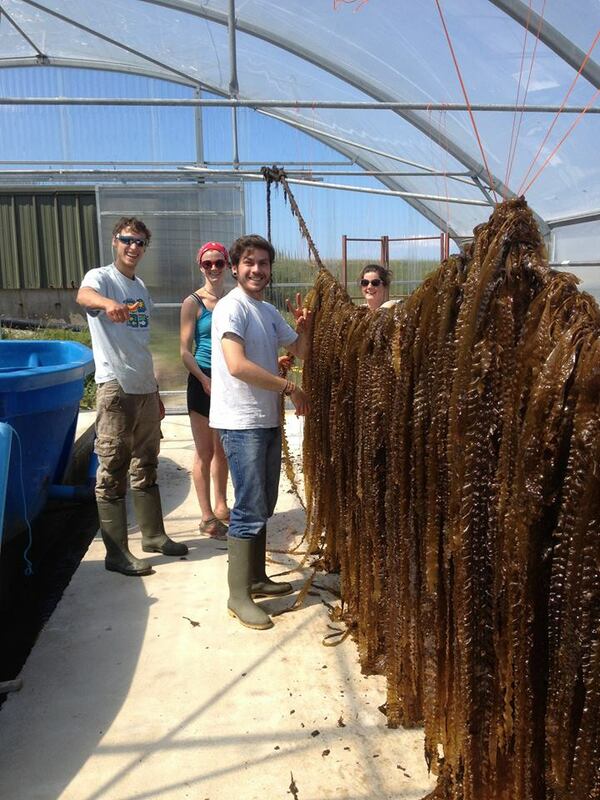 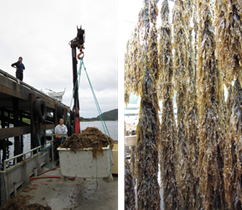 In Ireland, several 300 m long longlines of seaweed (Alaria esculenta and Saccharina latissima) were grown alongside salmon cages operated by Murphy’s Irish Seafood, supported by Dahiti O’ Murchu Marine Research Station. 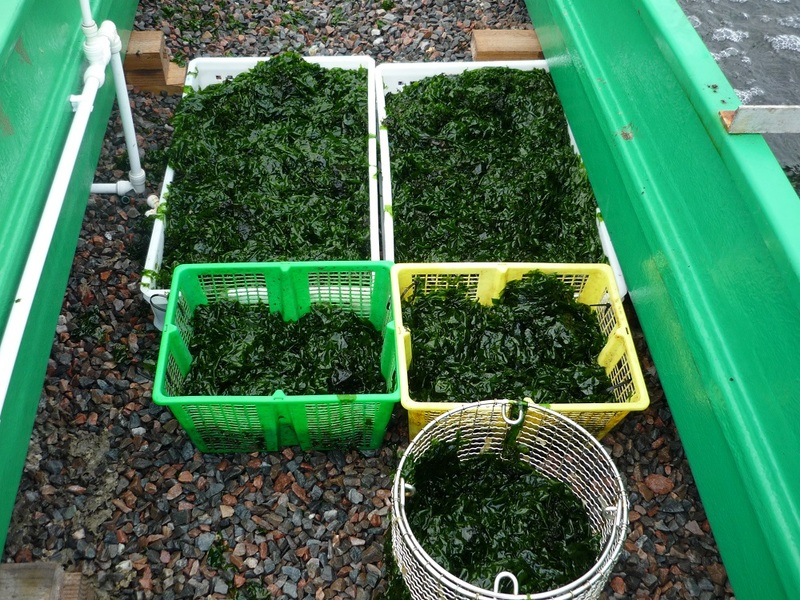 Harvested in 2013, 2014 and 2015, the seaweed growth rates were good on Ireland’s West Coast, being in line with or above the national average. 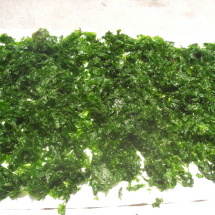 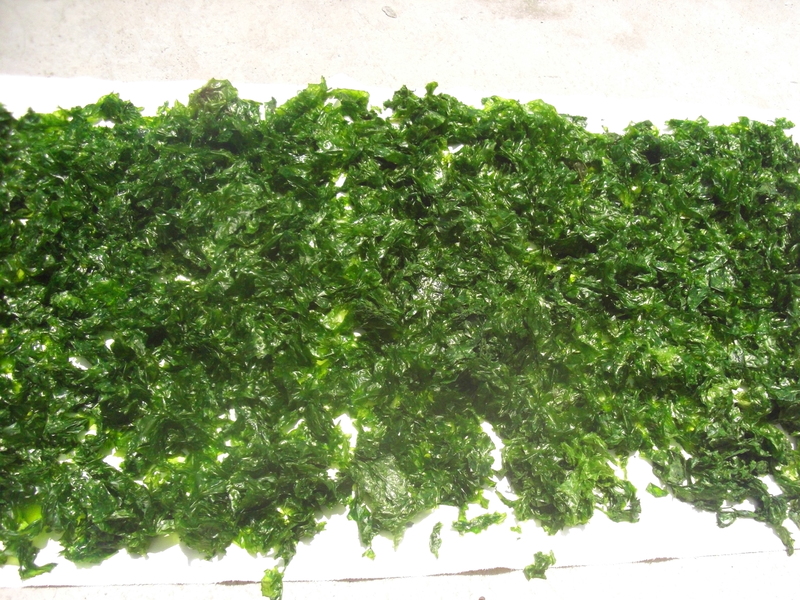 The seaweeds were used as horse feed ingredient, and partly to feed sea urchins being grown by DOMMRS to conduct other experimental trials. 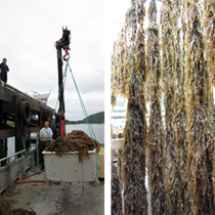 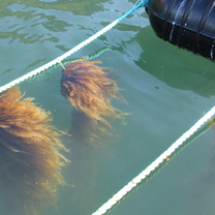 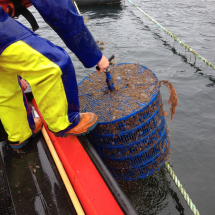 In Norway, GIFAS together with NIBIO have been conducting IMTA trials with seaweed longlines growing Alaria escluenta in proximity to salmon cages. 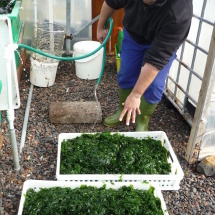 Alaria esculenta grew quite well and was harvested in May, June and July 2015. 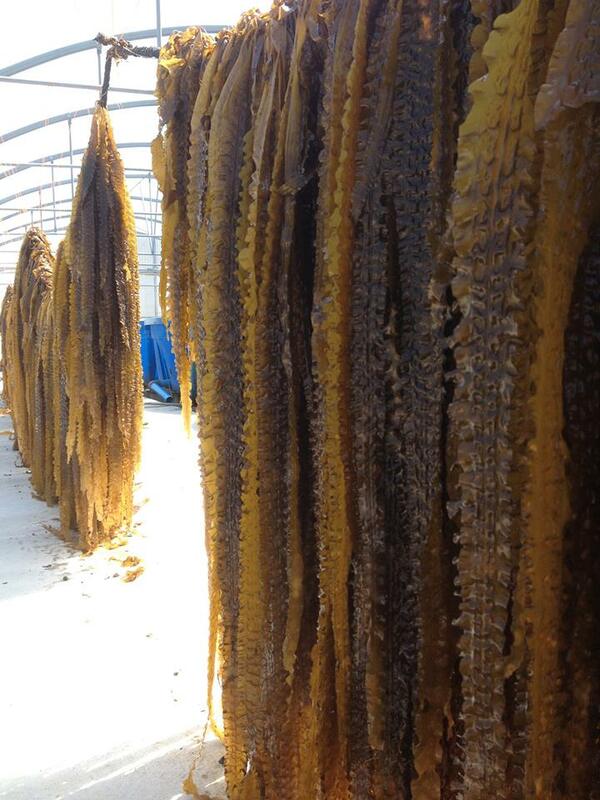 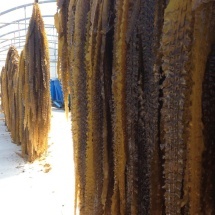 The ropes were hung and air dried to reduce energy costs of drying and the dry seaweed was used to supplement fish and animal feed. 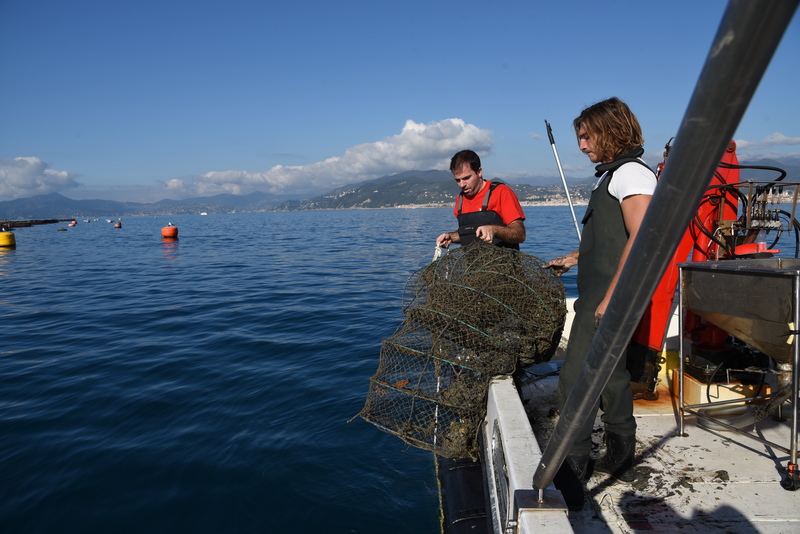 In Italy, AQUA srl operates a sea bream production facility in the Ligurian Sea and have developed an IMTA system with additional deployment of pacific and native European flat oyster. 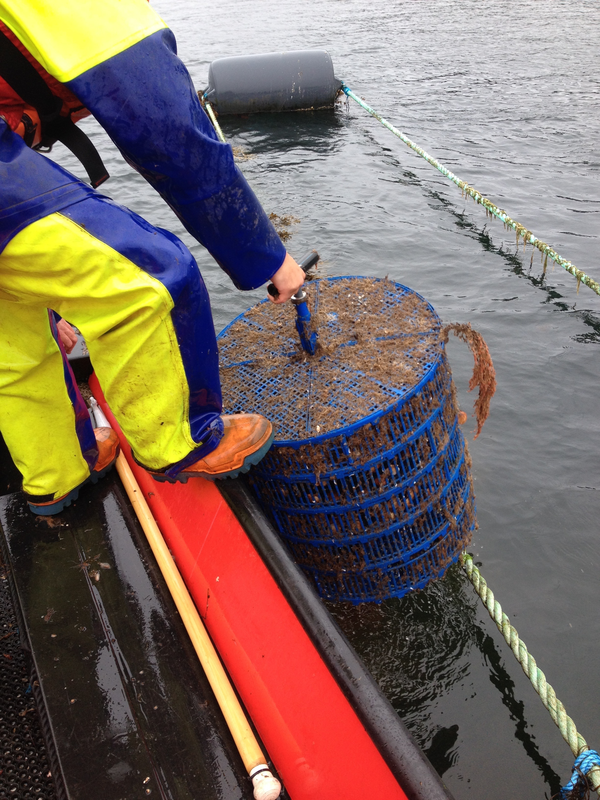 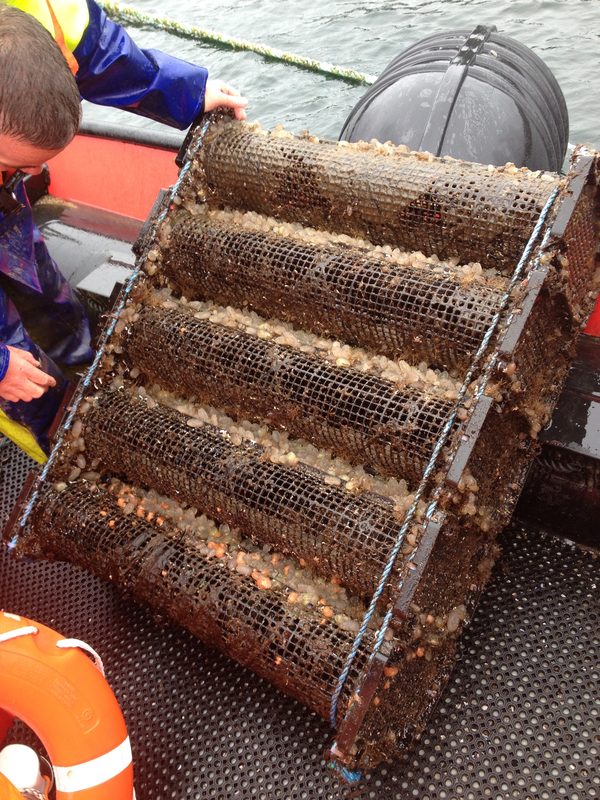 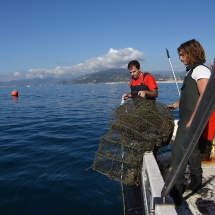 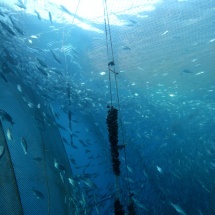 The oysters were initially deployed in June 2013 in lantern nets placed in close proximity (approx. 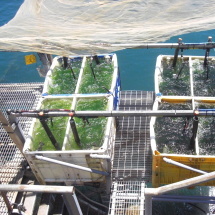 60m) from fish cages, which allowed the additional nutrients from the fish cages to be used for the growth of the oysters, in what is essentially a low nutrient oligotrophic environment. 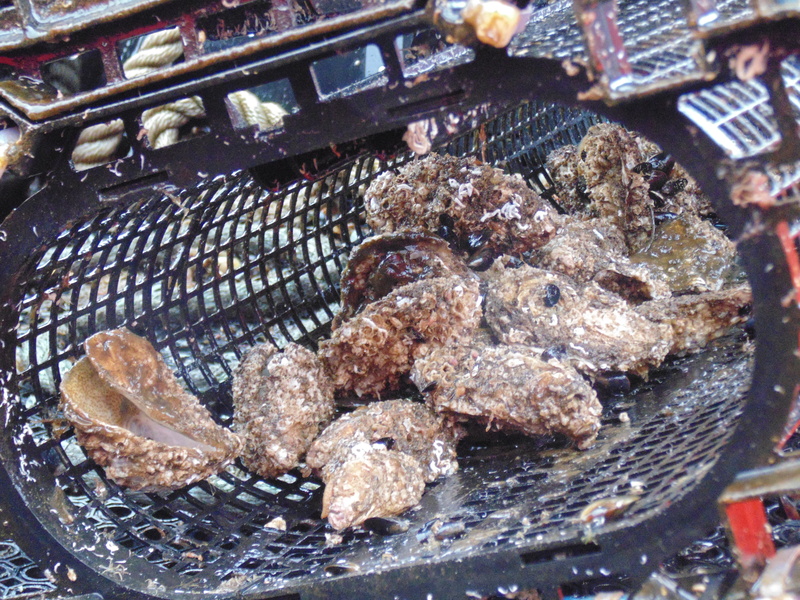 The first batch of oysters were harvested in late 2015. 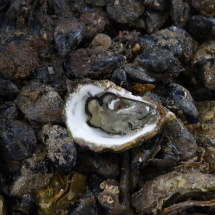 Although only 1,000 oysters (half consisting of Crassostrea gigas and the other half consisting of Ostrea edulis) were deployed, growth was a success and plans are in place to massively increase the numbers deployed in 2016. 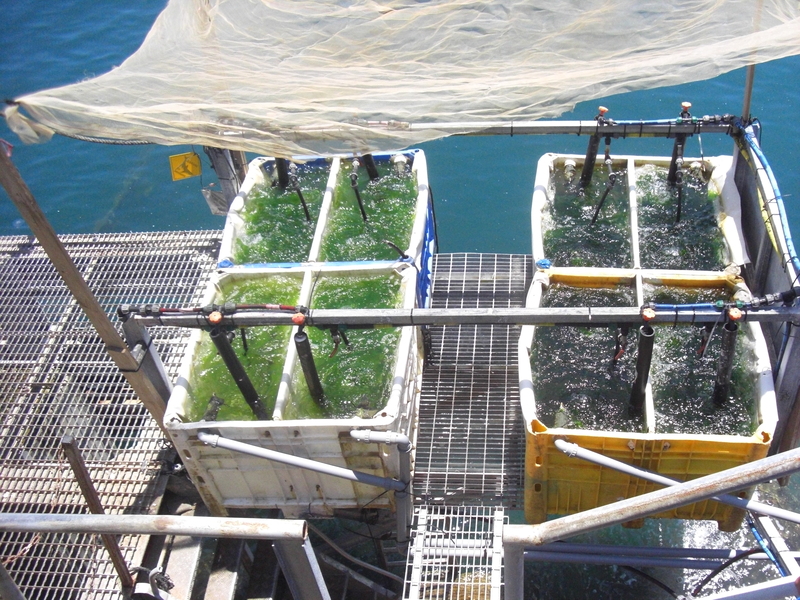 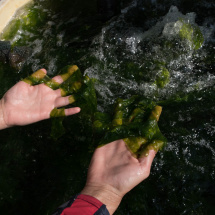 In Israel, Suf-Fish Farms has been conducting cultivation experiments with Ulva lactuca in land-based tanks, using nutrient rich water pumped from underneath sea bream fish cages, based in the port of Ashdod. 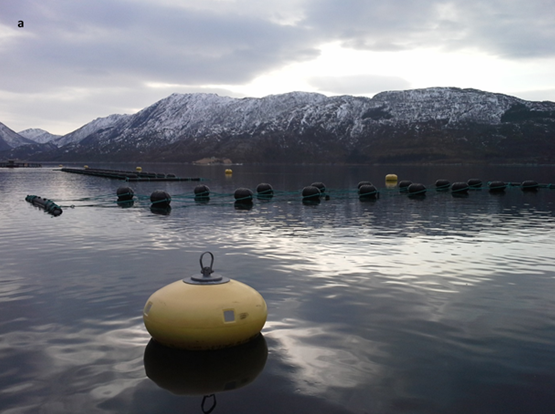 The IMTA system reflects the unusual site location in a port area. 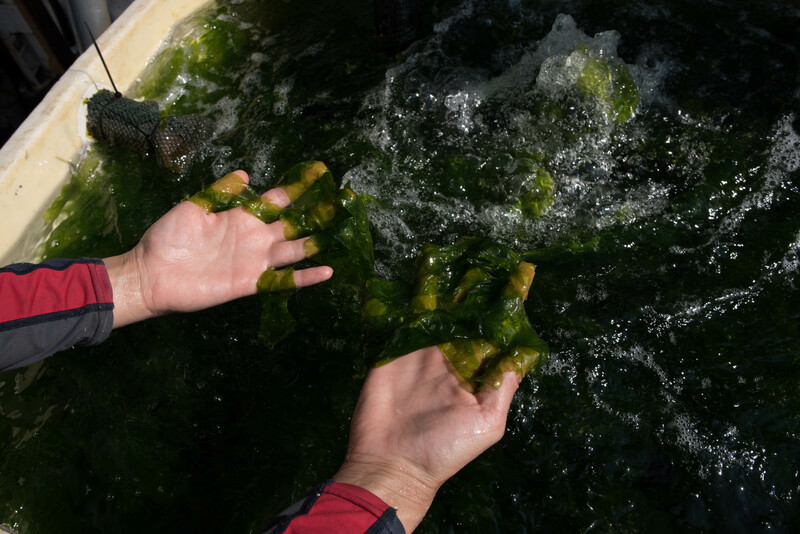 Between April and September 2015 the harvest of algae was performed continuously every 10 days, and quality of the product was high. 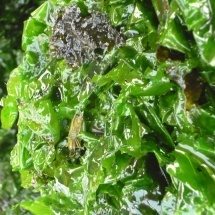 Although still at small scale, the growth of Ulva as an IMTA crop has been successful, achieving similar growth rates to those measured at commercial Ulva farms in Israel, but with the advantage of not specifically adding nutrients to maintain growth, as happens at these other commercial sites, and at the same time reducing the environmental load within the port area. 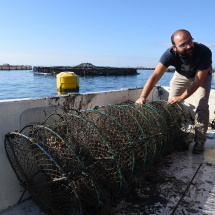 In Cyprus, Seawave Fisheries has been conducting several trials of different IMTA species with the scientific support of MER Lab. 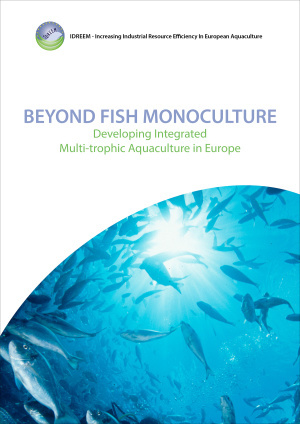 The main aim is to evaluate the potential of these different organisms in forming an IMTA system post-project integrated in a sea bream and sea bass systems. 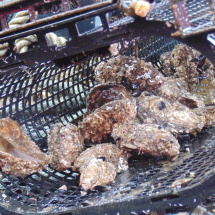 Trials have included mussels (Mytilus galloprovincialis), sea urchins (Paracentrotus lividus), oysters (Ostrea edulis), abalone (Haliotis tuberculata) and blue crabs (Callinectes sapidus). 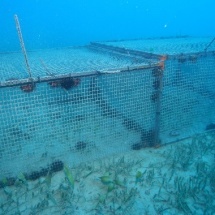 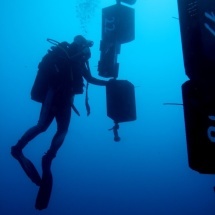 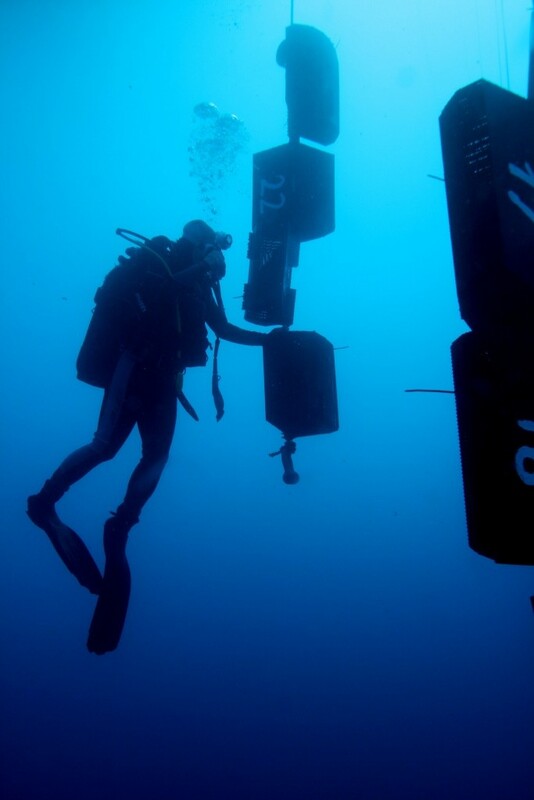 New experimental efforts include native sponges. 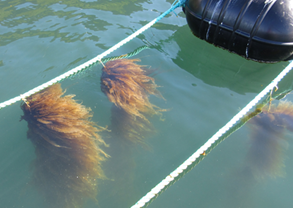 These pilot trials have provided valuable lessons and will help determine the most appropriate species mix, increasing the understanding of the practical and technical problems that may arise during IMTA culture. 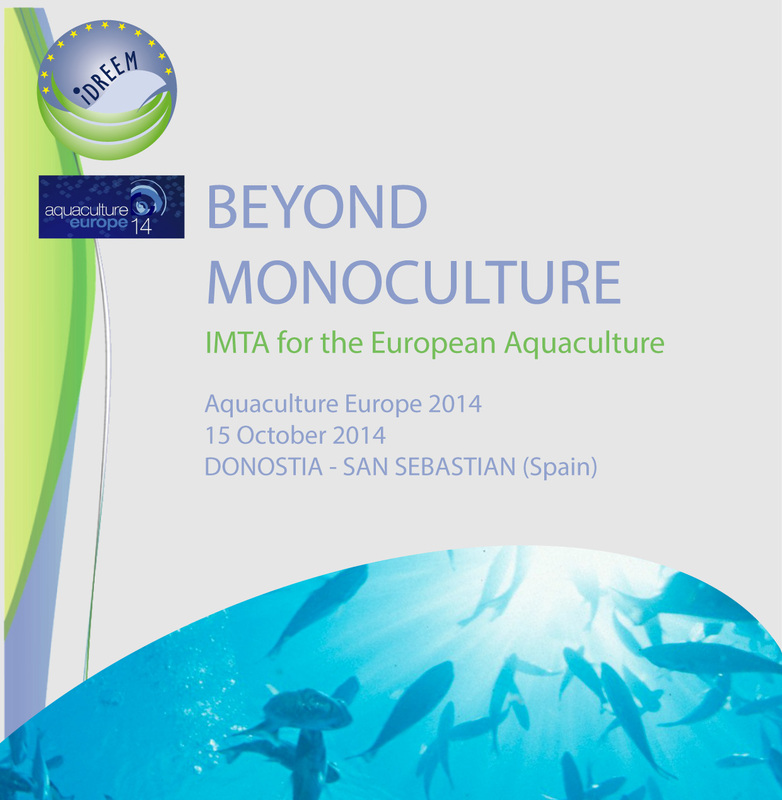 Article: IMTA in Europe – will it work for us?